Hero MotoCorp, Ashok Leyland, Maruti Suzuki, Eicher Motors, M&M, TVS Motor, Bajaj Auto, Indiabulls Real Estate, Oberoi Realty, DLF and Godrej Properties gained more than 3% each. 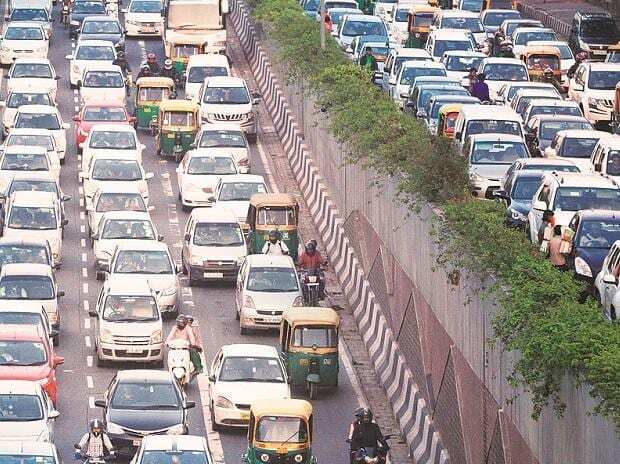 Shares of auto and real estate companies rallied by up to 6 per cent on the bourses after the Finance Minister Piyush Goyal on Friday proposed measures to boost spending in infrastructure sectors and rural areas. Hero MotoCorp, Ashok Leyland, Maruti Suzuki India, Eicher Motors, Mahindra & Mahindra (M&M), TVS Motor Company and Bajaj Auto from automobiles, while Indiabulls Real Estate, Oberoi Realty, DLF, DB Realty and Godrej Properties from the real estate sector were up more than 3 per cent each. At 12:51 pm, Nifty Auto and Nifty Realty indices were up 4 per cent each, as compared to a 1 per cent rise in the benchmark Nifty 50 index. In a major relief to the middle-class taxpayer, Finance Minister Piyush Goyal in his Interim Budget 2019 speech announced that those earning up to Rs 5 lakh a year would not have to pay any tax. He also said that those with an annual income of up to Rs 6.50 lakh would not have to file income-tax returns. These were among a slew of measures that he announced, mainly to benefit the middle class, address the agrarian distress, and bolster industry. Other key measures announced by the finance minister was the annual benefit transfer of Rs 6,000 each to the marginal farmer — with a landholding of less than 2 hectares — at a total cost of Rs 75,000 crore to the exchequer. Under the scheme which is fully funded by the central government, will be effective from December 2018, would involve three payment transfers of Rs 2,000 each to a farmer every year.